My first book, Black Tudors: The Untold Story, will be published by Oneworld on 5th October 2017 in the UK and 14th November 2017 in the USA. Think you know the Tudors? BLACK TUDORS tells the stories of ten Africans. 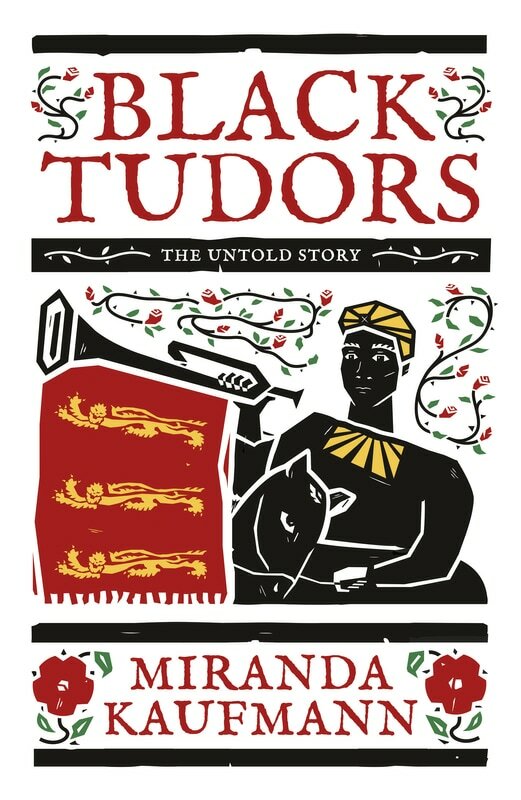 Miranda Kaufmann traces their tumultuous paths in the Tudor and Stuart eras, uncovering a rich array of detail about their daily lives and how they were treated. She reveals how John Blanke came to be the royal trumpeter to Henry VII and Henry VIII: the trouble Jacques Francis got himself into while working as a salvage diver on the wreck of the Mary Rose; what prompted Diego to sail the world with Drake, and she pieces together the stories of a porter, a prince, a sailor, a prostitute and a silk weaver. They came to England from Africa, from Europe and from the Spanish Caribbean. They came with privateers, pirates, merchants, aristocrats, even kings and queens, and were accepted into Tudor society. They were baptised, married and buried by the Church of England and paid wages like other Tudors. Yet their experience was extraordinary because, unlike the majority of Africans across the rest of the Atlantic world, in England they were free. They lived in a world where skin colour was less important than religion, class or talent: before the English became heavily involved in the slave trade, and before they founded their first surviving colony in the Americas. Their stories challenge the traditional narrative that racial slavery was inevitable and that it was imported to colonial Virginia from Tudor England. They force us to re-examine the 17th century to find out what had caused perceptions to change so radically. Introducing Black Tudors means a reassessment of our national story and what it means to be British today. They are just one piece in the diverse jigsaw of migrations that make up our island’s multicultural heritage. The knowledge that Africans lived free in one of the most formative periods of our national history can move us beyond the invidious legacies of the slavery and racism that blighted later periods in our history. BLACK TUDORS challenges the accepted narrative that racial slavery was all but inevitable and forces us to re-evaluate our shared history. If you want to learn more about the Black Tudors before the book comes out, have a look round my website, my blog or follow me on Twitter.